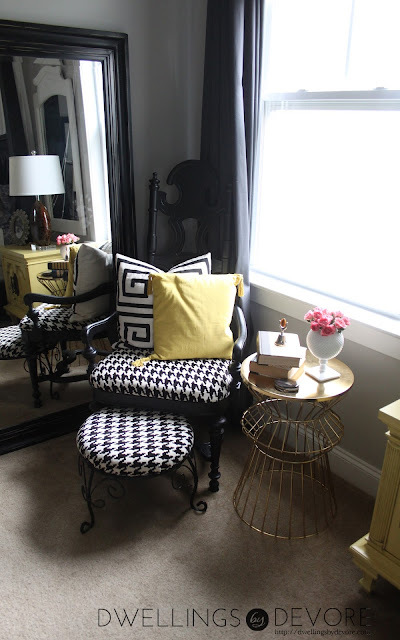 I've made a few little changes around our home this week but each of them individually didn't really feel blog worthy. So, I thought I'd do a little post to catch you up on a few changes I've made. 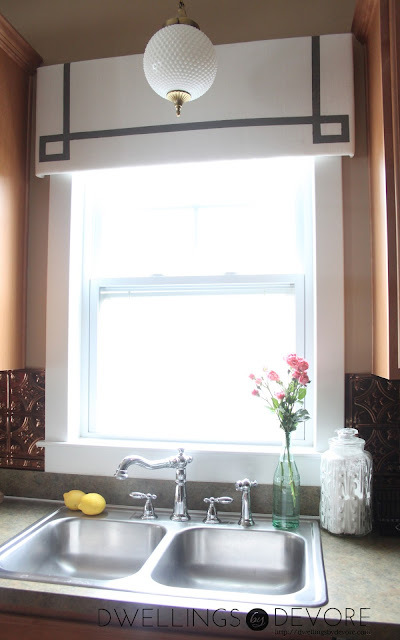 I finally got around to painting the pattern on my DIY foamboard valance. The frog tape looked like, well, frog tape. A friend of ours came over and said "why do you have tape up there?" I knew it was time to fix it. I went with gray, nice and neutral and so much better than frog tape green. If you missed that post, check it out here. Don't you love the flowers at Trader Joe's? I was hoping to find peonies, but unfortunately they didn't have any. 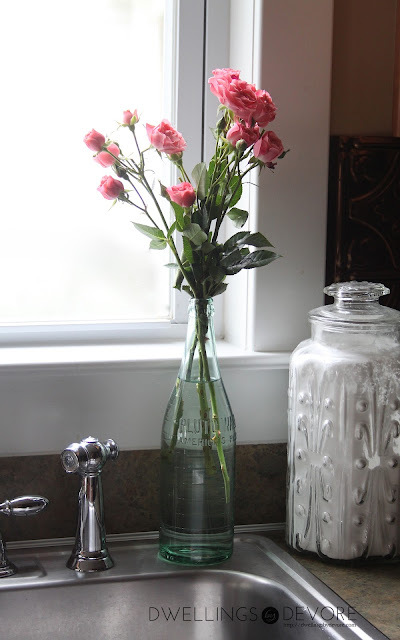 Of course you can't really go wrong with any kind of fresh flowers. 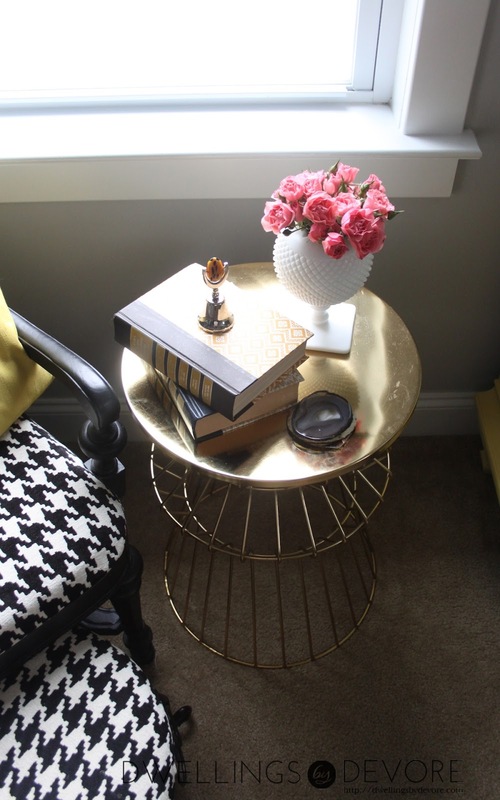 I happened upon this little side table during the Target clearance craze that was going on a few weeks ago. I had mentioned on instagram (follow me here) how much I loved it when it was full price. I couldn't justify it then because I didn't really need it. However, when I spied it for 70% off it was a no brainer. I also picked up a set of three agate slices at Homegoods for $2. To frame or not to frame? I think I'll leave them as is for now and use them as coasters. I added a new piece to my milk glass collection. It's the cookie jar on the bottom left. My mom and I found it on a little visit to a local thrift store. I need to get in there and organize it, it's bursting at the seems right now. 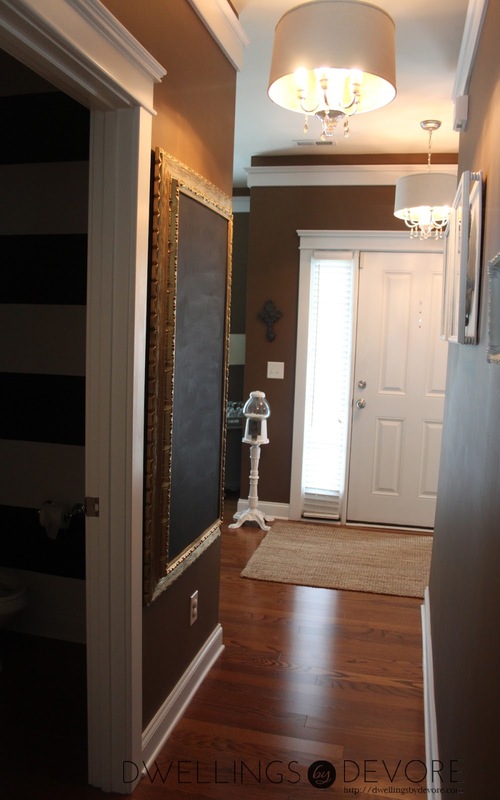 and lastly, I added this oversized chalkboard to our entryway. It needs a cute saying or something on it, but my skills are lacking in the chalk art department. I'm thinking about trying out this tutorial. So, that's what I've been up to around here. Just a reminder that the Shabby Apple Giveaway winner will be announced tomorrow so go ahead and enter now if you haven't already. You can never turn down 70% off! Love all your updates! Love the valance and THE LIGHT. Seriously want it! 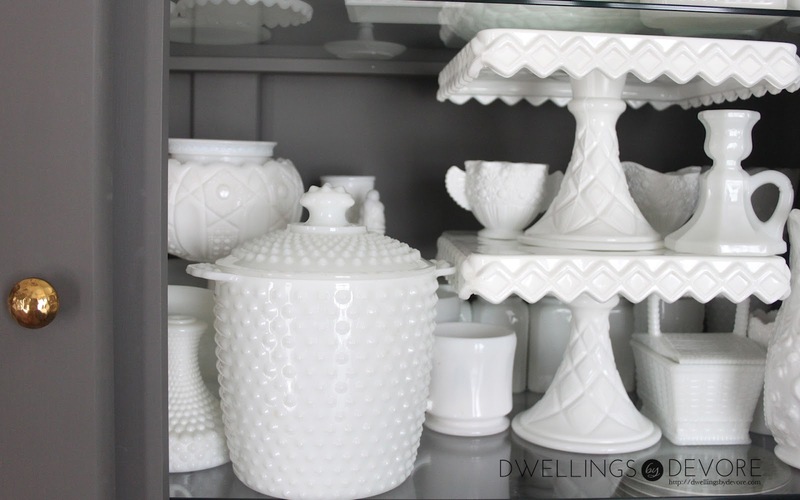 And your milk glass collection is amazing. Where did you find the chalkboard/frame? or how did you make it? Love your house! I just realized we have the same backsplash! I'm so glad you showed your cookie jar, because I have the same piece and I didn't know what it was. The lid was missing from mine, so right now it's holding kitchen utensils on my counter. I think "little" changes are the best! That's too funny! Using it for kitchen utensils is a great idea! And I agree, small changes make the biggest impact sometimes!